Let them think you are less than what you are! Increase your edge; decrease casino suspicions. They make you play 100 percent correctly in all games. They increase your edge over the house while using Speed Count. They make you appear to be less than a basic strategy player. They give you excellent camouflage in the casinos. 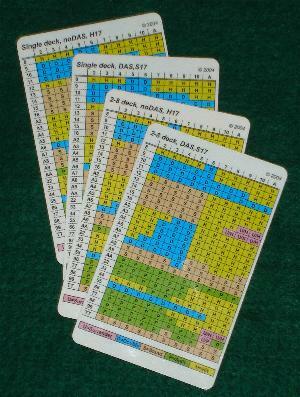 Includes custom optimized strategies for all combinations of: single deck, multi-deck (2 to 8), DAS, noDAS, H17, S17.